Hushpuppy listening to the call of the wild. "The most important thing I can teach you - you gotta learn to take care of people smaller and sweeter than you are." Last month, I had the great opportunity to meet and interview Ms. Lucy Alibar, Oscar-nominated screenwriter for the film Beasts of the Southern Wild when she came to visit the University of the South at Sewanee. Watching this film on the big screen for the first time in the cool darkness of the Sewanee Union Theater, I could feel my heart expanding with love. It is such a raw, real story that emphasizes the base truth that every tiny thing matters in this world; even more so when that world is turned upside down. There is a sense of authenticity about it that comes from most of the actors being primarily unknowns at the time of filming. 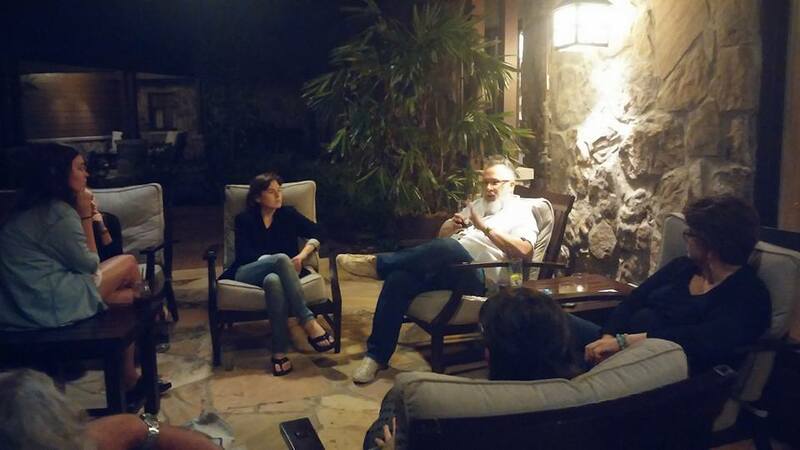 The gritty beauty of it all permeates every inch of the big screen.The viewing was followed by a riveting discussion afterwards led by filmmaker and Sewanee alumn Michael Dunaway as part of the programs for the Sewanee Young Writers Conference. 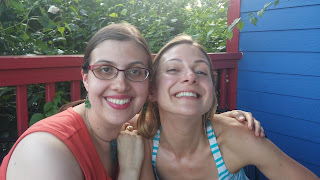 Ms. Alibar is every bit as lovely and real as her screenplay. My interview with her for the university, which you can see here, mostly focused on her involvement with the Writers Conference. We also spent a great deal of time talking about her inspiration for the film and the challenges adapting the work from her one act play, Juicy and Delicious. "Everything I do, even if it is adapted from something else, feels like a brand new endeavor," says Alibar. "A lot of it was learning what the script of a movie does for the experience of the audience and for the experience of the director." Alibar explains the story that is now the heart of Beasts developed from her coping with her father's illness, and how she was blaming the illness on herself. "I felt a very deep guilt - I felt responsible for him being so sick," says Alibar. "I would take really cold showers in the winter in New York, I wouldn't let myself eat...eventually, I started writing it down because it was eating me from the inside." 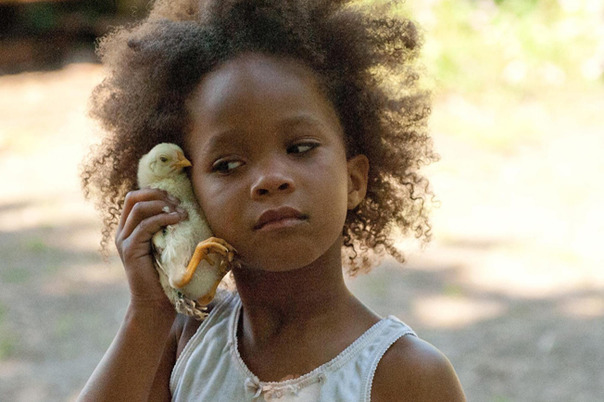 The film's plot revolves around Hushpuppy (played by old soul Quvenzhane Wallis, who has since gone on to play in 12 Years a Slave and Annie) a young girl living in the Bayou in a place called "The Bathtub", and her relationship with her sick father. Her father (Dwight Henry) is always toughening her up, always referring to her as "man." Alibar says her father treated her similarly growing up, and when people would say she was pretty her father would respond "She ain't pretty, she's smart!" The magical realism the film portrays effectively engages all the wonder of the childhood experience, despite the flooding of Hushpuppy's home, recalling the terror and panic that so many experienced during Hurricane Katrina. Alibar's storytelling is a force of nature in its own right. "Growing up in the South we are experts at suspending disbelief. We live where there used to be tar pits and there's all these fossils and dinosaur bones, but we also believe in Creation, but the dinosaur bones are right here," says Alibar. "Schools teach abstinence only but yet there are really high pregnancy rates in certain areas. We are experts at living with two truths, and to me, that's how children live as well. She sees her Dad being sick, and sees the beasts that are coming as a result of the world ending, and they are both very real for her." Alibar says the characters felt so close to her own family and friends that when the actors were cast, it didn't feel like an adaptation. "I was just writing for those people," says Alibar, shrugging her slim, sun-kissed shoulders. Running a brisk 93 minutes, it sweeps you up and when it drops you down, and you are not the same. When a story can shake you to your core and the camera and actors illuminate that power, that, my friends, is what great cinema is all about. Toby sez: Spellbinding and magical, Alibar's storytelling brings out the raw emotional beasts in all of us. The power of her words are illuminated in stellar performances of every actor great and small.